Ronald L. Rhames, NACUBO’s board chair for 2014–15, has been a lifelong proponent of partnering with peers, academic staff, and the private sector. Believing his collaborative style has had much to do with a successful career in higher education administration, he plans to team up with board members and NACUBO staff in advancing the association’s strategic plan, while continuing to serve the membership’s needs. As a high school student, Ronald L. Rhames spent his weekends immersed in drawing and painting—a passion he thought would spur a career in the arts. However, during his senior year, he started working part time at McDonald’s. By the time he was promoted to crew manager, he developed a deep interest in the business side of things. That curiosity was so strong that it led him to carve an impressive career in higher education administration—for the past 32 years. Rhames, who earned a doctorate in business administration from Nova Southeastern University, Fort Lauderdale, Florida, is currently the senior vice president and chief operating officer, Midlands Technical College (MTC), Columbia, South Carolina. He is responsible for the college’s physical plant operations, human resources, finance and accounting, auxiliary and support services, development, Harbison Theatre operations, internal auditing, and information technology. Rhames is second in command at MTC and is also responsible for staffing several committees of the institution’s board of trustees. Rhames, who has worked at MTC for the past 25 years, can claim an even longer association with the college—first as a student receiving his associate’s degree in management. He transferred to Benedict College, a historically black college or university (HBCU) in Columbia, and earned a bachelor’s degree in business and economics. Soon after, he worked briefly at Kmart, before a bank offered him a job. About four years into the banking position, a student services officer at Claflin University, Orangeburg, South Carolina, alerted Rhames to a job opening at that institution, when Rhames processed a loan for him. The university president met with Rhames at the bank the next day, came back the following day with an application, and hired Rhames on the spot. After seven years at the university as vice president for fiscal affairs, Rhames left for MTC, where he has steadily taken on increased responsibilities. Throughout his career, Rhames has been a firm believer in partnerships. 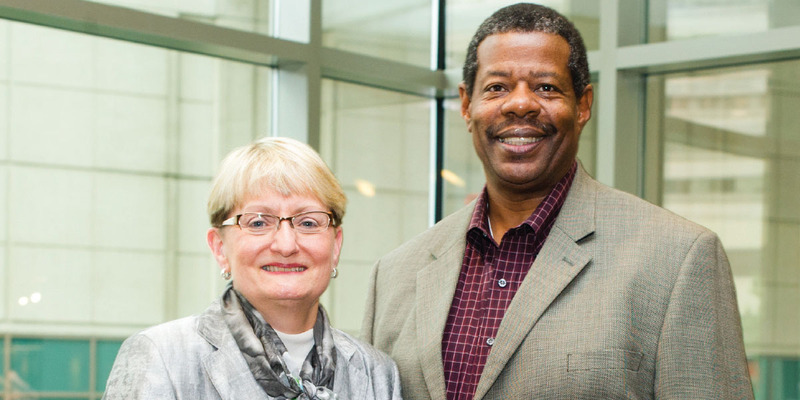 Whether it’s working in tandem with his colleagues, faculty and academic leaders, or the private sector, Rhames advocates collaboration to achieve personal success and to take the institution to the next level. 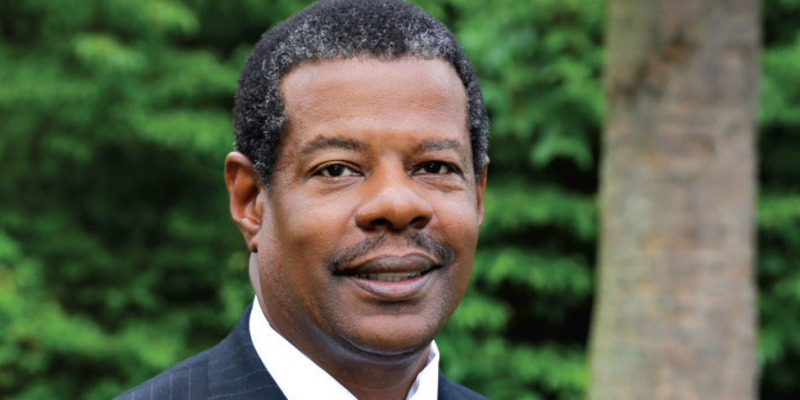 In an interview with Business Officer, Rhames talks shop and describes his plans as NACUBO’s board chair for 2014–15. You’ve been at MTC for almost 25 years. What keeps you motivated? When I got the opportunity to work at Midlands, it was a chance to come home. I’m a graduate of Midlands Technical College, so it was an opportunity to work at a place that I knew personally, where I had experienced firsthand the value and the influence the college can have on an individual. That’s what has kept me here—the mission and seeing what we do. Sometimes during graduation I’m looking at grandchildren and grandparents walking across the stage for their degrees at the same ceremony. That’s one of the unique things about a technical/community college. It seems that every step of the way people have seen potential in you and recruited you. Why do you think that is the case? That’s a tough question. In terms of the potential to make an impact, I like to think that I’ve had a positive influence at every place I’ve worked. But, that’s for other people to judge. When I look back on my career as a banker, I know that we were able to accomplish certain things. I learned a lot from that experience, and it helped me in the transition to higher education. Working at a private college, which is different from what I do now in a public institution, is probably more aligned to the private sector. The politics and rules are different. I like to think that I’ve upheld people’s expectations by being able to develop relationships, use a collaborative style, and learn from some great leaders—all of which have helped me in this process. What have you learned from those leaders? One of the things that I learned early on—especially when I came into higher education—is that you need to take the time and assess the situation. Sometimes you just need to step back and observe and figure out what’s really going on, so that you can actually address the right issues. In the private sector, you don’t always have the luxury of stepping back. If there’s something wrong, you go in and you fix it. But, in higher education, it’s different. The collegial atmosphere is more appropriate. In your work with the NACUBO board, Community College Business Officers (CCBO), Community College Council, and SACUBO, communicating and understanding partnerships has definitely been your mantra. Along with your experience at Midlands, what lessons have you learned, and what advice do you have for those struggling to develop effective relationships both on campus and elsewhere? The greatest thing about all the associations you mentioned is that you get to know other professionals across the industry, and there’s something you can learn from each of them. The relationships that you build are for life. Having people that you can call upon and discuss issues with makes a huge difference. And, for me, it’s been really important. On the campus level, you can’t really be effective without understanding faculty. That was probably the biggest challenge for me when I first came into higher education at a private institution—to learn and understand how faculty behave. Because I learned this part of the process early on, I was able to survive the challenges of working with the academic side. It really goes back to what I said earlier about sitting back and observing, taking the time, getting to know the individuals, and developing relationships with academic leaders, faculty, and others. Without that personal touch and without them knowing you personally, it’s much more difficult to become an effective business officer. I’ve been quite fortunate to work with some great academic officers and provosts. I feel like I “owe them,” because they taught me a lot about the academic part of the enterprise. The main thing is to try to figure out what’s important to an individual faculty member, faculty members as a group, and the academic leadership. With that knowledge, you can build mutually beneficial strategies to achieve both your goals—and theirs. What major changes have you seen in the area of finance for higher education institutions? It’s the way higher education is funded. When I worked at the private college, we were definitely tuition dependent. We had to have strong enrollment and we relied heavily on fundraising. In my early days of working at a public institution, it was not so. But, the drastic funding cuts that were dealt to higher education, especially at the state level, have made a significant difference. We are now more like private institutions in the sense that we are more dependent on tuition income to support the institution. If we’re going to maintain our institution’s mission, we have to be creative in the ways we fund higher education. And, frankly, we’re more dependent on students than we were before. Community and technical colleges are at the center of public discourse about higher education access and affordability. What are some strategies Midlands is using to be responsive to the needs of the population and its region? One of the things that we’ve done is to form partnerships with the community, especially as it relates to workforce development. One program I like to talk about is what we call our Michelin Scholars Program. A major employer in our community, Michelin, is struggling to find people with the right skill set to master its advanced manufacturing process for making tires. To address this need, Midlands and Michelin are working with high school districts in the area, encouraging high school graduates to enroll in one of Midlands’ engineering technology programs. Michelin pays their tuition and gives them part-time jobs with benefits. Once we certify the students after the completion of the program, Michelin offers them full-time employment. The partnership is really strengthening the company and building the workforce it needs. And it helps our institution as well. Michelin not only pays the tuition for students, but it also provides advisory services as we put together the curriculum. The company provides resources in terms of the expensive technology that’s needed to train people to work at Michelin. We’ve developed a number of such partnerships. For instance, when the utility company built a couple of nuclear reactors in the state, it experienced problems finding skilled nuclear operators. We worked together to build a curriculum and secure resources to educate students for the necessary positions. We’re graduating 10 to 15 nuclear operators a year for this company, which is going to need hundreds of employees over the next several years, as new plants come online and as the existing workforce retires. These kinds of partnerships are making a huge difference, in terms of providing a skilled workforce that makes the community competitive in attracting investment in and support for economic development. What do community colleges bring to the national conversation? I’m not sure that the mission of community colleges and what we do is completely understood by the general public. We have a huge transfer component within our colleges, and parents and students are becoming more aware of that. We see more people coming with the intent of transferring to a four-year institution for their degrees. Those transfers don’t happen only in associate of arts and associate of science programs. Many career programs, as I mentioned earlier, such as engineering and technology, are popular because students can automatically transfer to the University of South Carolina and complete the requirements for a bachelor’s degree in engineering. When you start talking about workforce development and training, people are probably not as informed as they are about the value of the transfer process. NACUBO and other higher education associations have an opportunity to focus on these areas and promote these advantages to the public such that more students will find community colleges attractive, begin to appreciate their value, and be more likely to attend. The complexity of the higher education institution today requires CBOs to have more well-rounded skills in a variety of different areas. What advice would you offer NACUBO members on managing their institutions? When I first came into higher education from the private sector, the business and the accounting part was fairly easy. But, I did not know about the physical plant, information technology, human resources, contract negotiations, and all those kinds of things that a chief financial officer or a chief business officer needs to know. I had to learn quickly. The way I did that was by becoming involved with SACUBO, NACUBO, and other professional associations that provide support for the required skill sets. I would encourage people to get involved and stay involved with these associations and learn from their colleagues; these are such valuable resources. It’s as simple as that. It’s nothing sophisticated or complex. But, it is a two-way street. There is an expectation that when your colleagues call you, you will provide the same kind of help. You have a doctoral degree in business administration. How has that degree served you in your role? And, would you suggest that CBOs pursue a Ph.D.? Technically, I don’t think it’s necessary for a chief financial officer to have that degree. But it definitely helps in terms of getting respect from faculty. Obtaining a Ph.D. degree says a lot to faculty, and it made a big difference in my ability to work with faculty, the provost, and the academic staff. I would encourage CBOs—if they have the time and the ability—to do it. It really has an impact, especially if you’re thinking about leaving higher education and doing different things in your career. While it may not help in terms of managing the physical plant or in accounting, finance, or other areas of operations that CBOs often deal with, it may function like a union card. It brings credibility and respect that is essential for success in upper levels of higher education. What advice do you have for people at midlevel to prepare for the CBO role? One fundamental thing is that you’ve got to get the education. You may not need a Ph.D. degree, but I certainly encourage a master’s degree in a related field of higher education, finance, or accounting. I firmly believe in professional development. That’s also something my institution believes in. Throughout all the financial crises, the board and the administration decided not to cut professional development funding. We have been able to send people to workshops, seminars, and conferences, despite all the changes we’ve experienced. This is one of the ways to stay abreast with change and, therefore, remain competitive. Another way to do that is to be engaged in NACUBO, SACUBO, and the other regional organizations. Again, I don’t want to miss the opportunity to talk about developing relationships with people through professional associations and various professional development and networking opportunities. Some of the people you meet just may be hiring you one day. What plans do you have for leading NACUBO? What would you want to accomplish in your year as chair? My style of leadership has always been collaborative. My dissertation was on Hersey-Blanchard’s situational leadership style, meaning that you adopt the leadership style that is most appropriate for a particular situation. In working with a board as broad and as experienced as NACUBO’s, any leader would be foolish not to take advantage of the wisdom the members bring. We also have seasoned professional administration and staff at NACUBO. With the programs and the services that we develop during the year, I hope to be able to keep in mind our constituents, and that we’re making decisions that are going to impact what they do and how they do their work, which, obviously, influences the students they serve. I also want the board members to understand their constituents and their respective needs, and to remember that we are there to serve those constituents. I want constituents to know that if they have ideas and they want to become more engaged, the board is here to help them achieve those things. What particular product, service, or goal would you like to focus on? With all the challenges we’re facing, especially, in the regulatory environment, I’d like to make sure that we maintain, if not strengthen, what we can do to help influence those decisions—from how people want to assess higher education, to all the rules and regulations surrounding Title IV, and tax rules and regulations. One of the greatest strengths of NACUBO is advocacy—its ability to influence legislation, the rules, and the regulations. If I had to pick one thing to focus on, it would be strengthening that component. NACUBO does a great job already, there’s no doubt about that. You spent your entire career in the southern region, including being active in SACUBO. What’s distinctive about that region? The southern region is home to me. It’s been great for me, personally and professionally. There are a lot of commonalities across the whole country. But there are two things that are fairly different in the southern region. One is that the South has probably the most states that are the poorest. In that context, higher education makes a huge difference. Our ability in higher education to improve the lives of our citizens is significant. That’s especially true of community colleges. This issue also exists outside of the southern association. But, when you look at the demographics, clearly, in the South there are a lot of things that we need to improve and a lot of things that we need to do differently. Higher education can make a big difference there. The other thing is that—and this is personally important to me, being a graduate of an HBCU—the South is also the home of the largest number of historically black colleges and universities. I think NACUBO and SACUBO can have a significant impact on these institutions. Many are struggling today, but I think that both associations can be part of the solution to help them improve the position of HBCUs so that they can continue their vital mission. Family: I am not married and I don’t have children. In some ways, Midlands Technical College is family. I have a niece and a nephew, Ieshia and Ronald, who think they belong to me. I have a twin sister. We are like two peas in a pod. Growing up, we were typical kids and would fight with each other. But, at the end of the day, we were always together. In order to make it work, we had to collaborate. We had to give and take. Words you live by: Being true to yourself and being respectful of others make a huge difference in one’s life. Outside interests: I love the visual arts and the performing arts. In South Carolina, since community colleges are a two-year system, the arts are not a priority. But, I’m really proud of the fact that we were able to build a full performing arts theatre on one of our campuses, and it’s one of those things that will distinguish us as we go forward. Reading you recommend: I’ve read everything written by John Steinbeck because of his connection to the common person. His writings are about how humans survive despite all kinds of tragedies. In many ways, higher education has and will continue to help lots of people in that struggle. You live and learn, but you’ve got to be aware of what you say and exactly how you say it. Fortunately, we got what we needed, and ultimately, the college is really doing well because of that. Particular passions: I am passionate about the business of higher education. I am biased toward two-year colleges. And, that’s from personal experience as well as professional experience. Higher education has the ability to change and make a huge difference in people’s lives. Your NACUBO colleagues would be surprised to learn: My closest friends don’t know that I was a painter. I painted using mostly oil and watercolor and occasionally used charcoal. 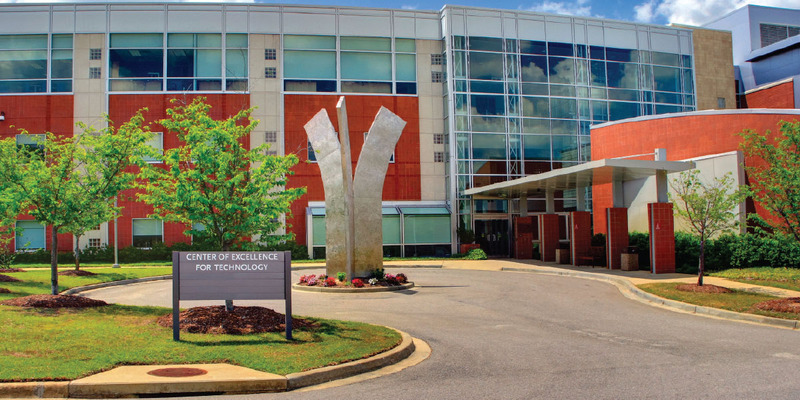 In 1974, three career-oriented institutions merged to form Midlands Technical College, a comprehensive two-year college that offers career and transfer education. One of South Carolina’s largest two-year colleges, MTC enrolls approximately 18,000 students and offers more than 100 associate degree, diploma, and certificate programs of study. An estimated 70 percent of the courses are in the career program area. MTC’s strong college transfer program allows students the opportunity to take the first two years of a baccalaureate degree and transfer to one of the state’s four-year institutions. MTC is currently the largest source of transfer students to the University of South Carolina, Columbia. The college has six campuses, including the Beltline, Airport, Harbison, Batesburg-Leesville, Fairfield, and the Northeast Campus located adjacent to the Carolina Research Park.